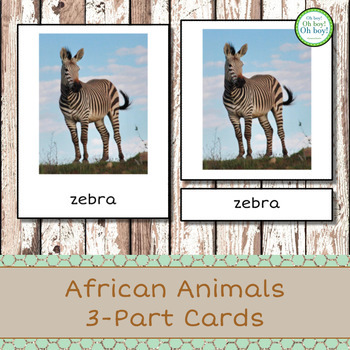 Let your little biologist, zoologist, or mammalogist explore with these montessori-inspired African animals 3-part cards. 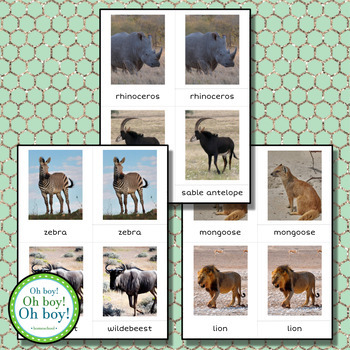 This download includes 14 animal 3-part card sets. 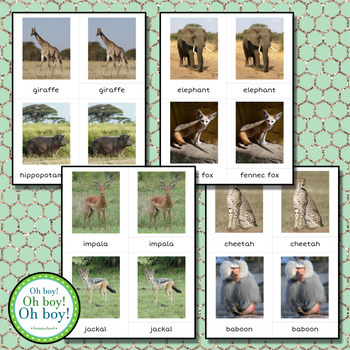 For longer durability: print on white cardstock and then laminate the cards.